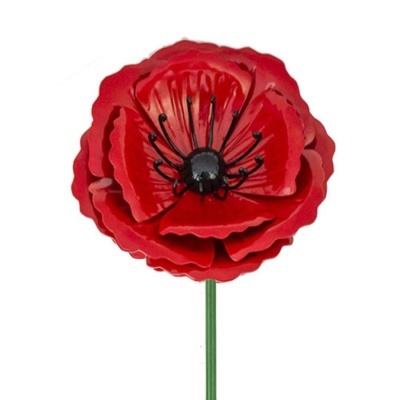 Fountasa Poppy Metal Garden Stake (Small) represents the nations patriotic flower sculptured as a garden ornament offered as a memory in the garden of those who have fallen in great wars. 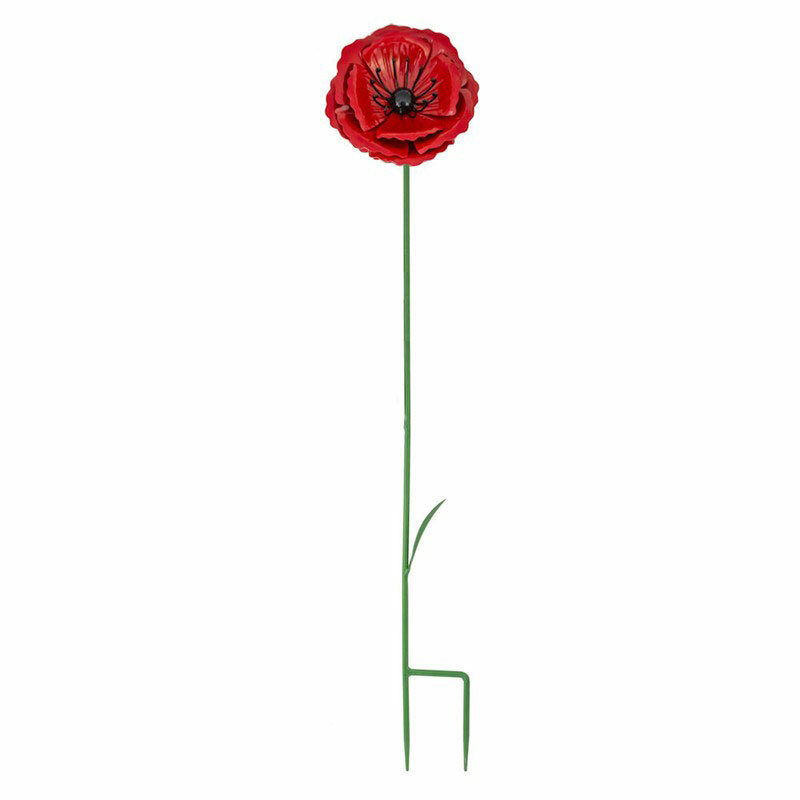 A Poppy that lives always adding stunning colour to your garden all year round, thanks to an outdoor powder coated finish. Sculptured to look authentic and proud amongst other flowers within beds and borders. Simply pushes into the earth using ground spike provided.